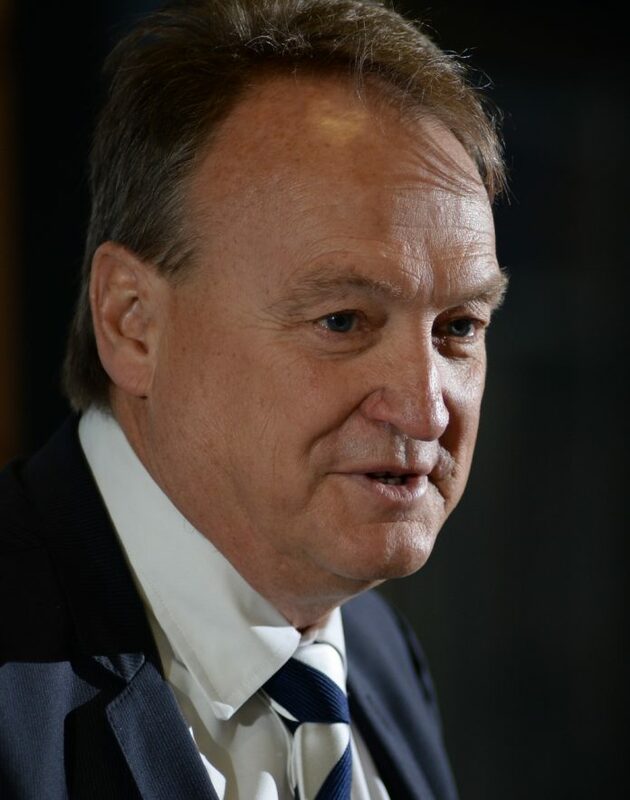 Geelong Cats chief Brian Cook expects the state coalition to snub funding for the final stage of GMHBA Stadium’s redevelopment, he revealed this week. “I don’t think we’ll get a commitment from the opposition,” he told a press conference on Wednesday. Labor has also yet to announce any funding commitment, with the state election in three months. The football club had hoped to commence demolition works to make way for stage five soon after tomorrow’s game against Gold Coast, Mr Cook said. State and federal governments and other organisations have invested $177 million in redeveloping the stadium’s stands since 2003. Estimates for stage five range from $90 million to $100 million, bringing the total investment to more than a quarter billion dollars. The proposed stage five redevelopment would replace the current Ford and Gary Ablett stands and bring the stadium’s capacity to 40,000, according to Kardinia Park Stadium Trust. “We’re waiting on word from government,” Mr Cook said. “So it might happen tomorrow, it might happen in a month or two months, or it may not happen. Labor leads Liberal by a narrow margin of 51 to 49 according to the latest Galaxy poll, meaning the November election could go either way. The office of Sports Minister John Eren declined to make a commitment to funding for stage five yesterday. In 2017 State Government committed $3.9 million to the planning and design work for the stage. “Once this business case process has been completed we will make a decision on next steps,“ Mr Eren’s spokesperson said. In June Victoria’s shadow sports minister Danny O’Brien slammed the trust for failing to deliver enough events. “There has been considerable investment into Kardinia Park and we would expect taxpayers to get good value for money for that investment,” Mr O’Brien told the Indy. The Indy contacted the office Mr O’Brien for comment but he failed to respond before deadline.